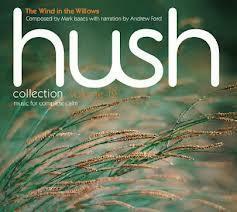 Respected composer Mark Isaacs presents his wonderful retelling of The Wind in the Willows. The concert will be broadcast on ABC Classic FM and presented by Emma Ayres. Personnel: Mark Isaacs (composer and piano), Geoffrey Collins (flute), Andrew Ford (narrator), Dimity Hall (violin), Louise Johnson (harp), Huw Jones (oboe), Julian Smiles (flute), Philip South (percussion). The Hush Music Foundation, now internationally renowned, continues to provide music to reduce stress and anxiety for children, families and others in hospitals around Australia.